While half (50%) of senior managers surveyed by OfficeTeam said employees wear less formal clothing than they did 5 years ago, and many companies are allowing workers to dress more casually in the office, you should choose apparel that’s a couple notches up for job interviews, says Brandi Britton, District President for OfficeTeam, a staffing firm specializing in placing highly skilled professionals into administrative jobs. Like the interview itself, dressing for success takes planning and preparation. Employers are not only judging how interviewees respond to questions, they also judge their professional demeanor and appearance – to make sure they are a fit for the company culture, or when meeting with clients (if applicable). 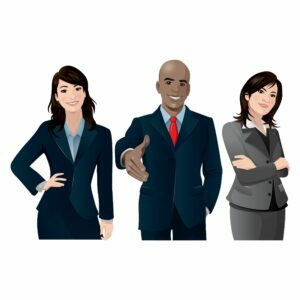 To help college students and recent college grads prepare appropriate interview outfits, we’ve put together this guide breaking down how to dress for job interviews within specific industries including, finance jobs, administrative jobs, creative/marketing jobs, advertising and public relations agency jobs, legal jobs, IT jobs, trucking jobs, and for internships. The dress code for finance and accounting departments is becoming increasingly more casual, though still business professional, according to the professionals at Robert Half. While a full suit and tie or skirt and jacket may not be necessary for a job interview, it is often better to err on the side of overdressing. “Every company has its own culture, so it’s always a good idea to do your homework as much as you can to determine the dress code for the role and company where you are interviewing,” says Britton. The general recommendation is dress slacks or a skirt with a button-down shirt and blazer. Men should wear ties. While you should consider a company’s personality when interviewing for an administrative position, the classic two-piece suit (a jacket paired with either slacks or a skirt) is the safest option, according to OfficeTeam. Ensembles in conservative colors, like navy, gray, beige or brown, look best. For women, shoes with conservative heels, like close-toed pumps in leather or fabric, are a good choice. Dark shoes and socks are common for men. TIP: College Recruiter’s LinkedIn group “Entry Level Jobs and Internships” will keep you informed of expert career and job search advice. Would it make sense to join the group, or follow us on Twitter, Facebook, and YouTube? Nearly 7 out of 10 advertising and marketing executives surveyed by The Creative Group said it’s likely they’d remove a candidate from consideration if he or she wore inappropriate interview attire. While some creative departments and agencies have casual dress codes, you will not be taken seriously if you look like you just strolled in from the beach or gym. Conversely, you don’t want to come across as too stuffy or conservative for the creative work environment. One good option is to wear something classic with a twist. This could be a button-down shirt and tailored pants, with the addition of a unique tie for men or statement necklace for women. A business suit is a good bet for men or women in this typically conservative field, say the experts at Robert Half Legal. Make sure shoes are professional and polished and keep jewelry subtle. Women should consider wearing close-toed shoes if interviewing with a more traditional firm. Tech departments are usually business casual or even casual work environments (jeans and t-shirts), but for the interview, it’s best to project a professional image. According to a Robert Half Technology survey, nearly half (46%) of CIOs said a business suit is the most appropriate attire for someone interviewing for an IT position, and 34% of respondents favored khakis and a collared shirt. When it comes to internships, the standard interview attire rules still apply, according to OfficeTeam. College students or recent college grads who don’t have interview or workplace experience may not be aware of how you should dress for meetings with employers. But that’s where doing your homework and asking others for advice comes in handy. If you come dressed too casually, it’s hard for an employer to take you seriously and envision you as part of the team. Follow the above tips for advice on how to dress for an internship interview. As a general rule of thumb, you should dress for a position at a more senior level than the one you’re interviewing for, says Britton. Let your responses, what you’re saying shine through and dominate the interview versus letting anything else detract or distract the interviewer.